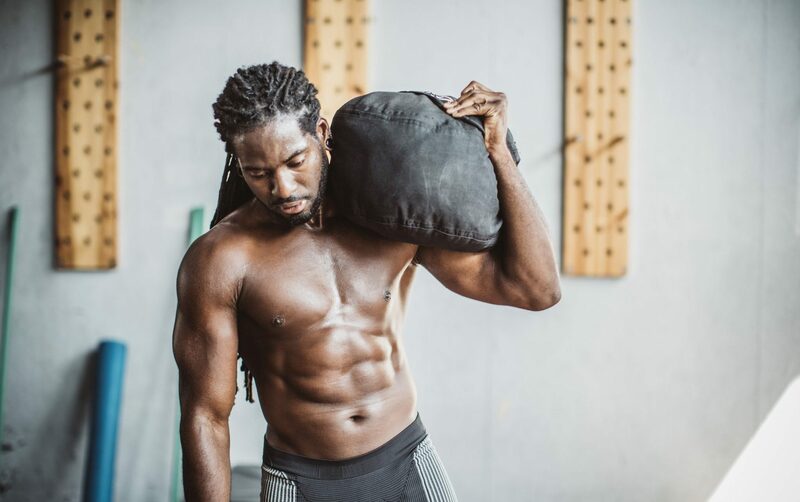 Sandbags can be even more useful for your weight training than a regular barbell because they imitate a resistance that we usually experience in our everyday life. How often do you encounter something as symmetrical as a barbell in your daily routine? On the other hand, unbalanced and unpredictable heavy things are something that we have to deal with in the real life on oh-but-so-many occasions. Carrying a child, holding an animal, picking up heavy and unbalanced bags – these are things you’re going to get more prepared for with a sandbag. While many tools for exercises have a stable center of gravity, those heavy sacks are an exception – and sometimes it is a huge benefit. While you hold a bag in the training session, the sand inside it is constantly moving – so your core engages in the workout differently that it would if you were working with a stable tool. Outcome? More muscles and higher fitness level! While other pieces of fitness equipment can sometimes be expensive or difficult to find and use, this sandy fellow is a great example of a simple, accessible tool that anyone can successfully implement into their workouts – provided they know how to properly pick up a heavy weight and have learnt about the possible restrictions. However, even such simple piece of equipment can sometimes be quite expensive. 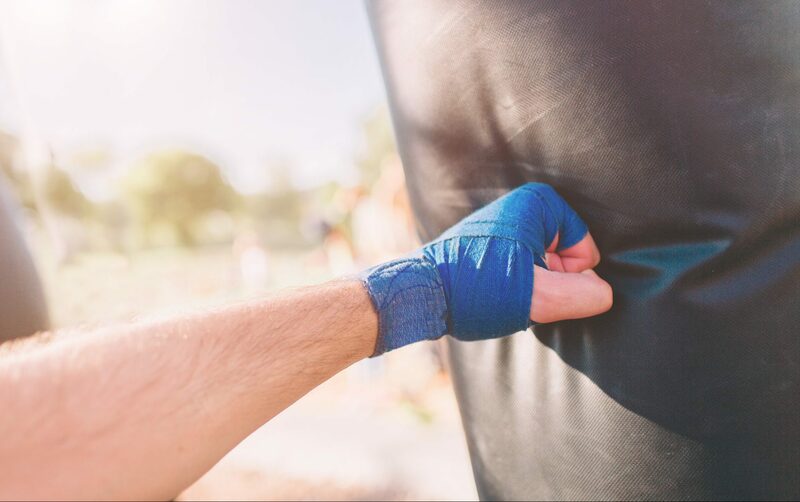 Luckily, you can make perfect sand bags for working out yourself – you won’t need anything too special for the DIY process, and it won’t cost much (definitely cheaper than buying one!) Plus, you get to have your own hand-made tool tailored just for your personal needs and wishes. There are many ways for making this tool, and it all depends on the desired size, capacity, and weight of the future bag. This option is for crafting a mid-weight bag on a budget. Try making this as a golden mean for the beginning period, and later on, you can try again and shift the parameters to get the perfect bag for your training goals. Don’t pick a cheap duct tape – this one item needs to be secure. Look for the options that cost around $9-10. Prices vary, but this whole pack of inventory will cost somewhere around $50. So, gather your tools and get ready for some crafting! Take one of the contractor garbage bags. Roll the top of the bag down so the bag is sitting on its own and you don’t have to hold it. Carefully pour some of your gravel into the bag. You will need to make 3-4 interior bags, so make sure you don’t pour all the gravel inside the first one. Divide it to put around 20 lbs. in the first bag, and around 10 lbs. in the other 2-3 bags (those measurements are approximate and you don’t have to count the exact numbers, of course). When the first bag is filled with the right amount of gravel (about 20 lbs., make sure there is still room in the bag for the gravel to move around), fold the opening of the garbage bag and duct tape it thoroughly. Wrap the bag in a few more rounds of duct tape for the secureness. Then, put this bag into the second contractor garbage bag, and duct tape it the same way as the first time – all to make it secure. Repeat the process with the other 2-3 bags, but add less gravel – about 10 lbs. per each. When all the bags are filled and duct taped thoroughly, you can move on to the second (and final) step. Take your big canvas laundry bag, and put each of the small contractor bags with gravel inside it. Pull the drawstrings of the laundry bag tight. Take 2-3 zip ties and clinch them around the top. If later you will want to change the filling of your new homemade sandbag for your training, you will have to cut the zip ties off. However, they usually come in big packs, so make sure to save them for the occasion. If later you will make your bag heavier or lighter and cut off the old zip ties, just lock it with a pair of new ones and enjoy your freshly upgraded equipment!